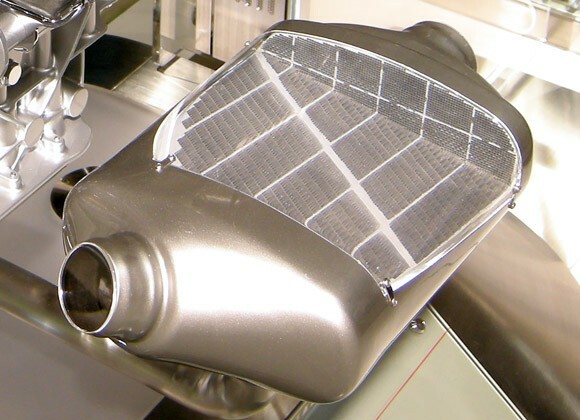 The DPF (Diesel Particulate Filter) is designed to remove soot particles from your exhaust emissions and has been widely fitted to diesel engined vehicles since around 2003 in response to EU legislation concerning emissions. As with any filter, the DPF needs to be clean and clear to work properly, so it’s designed to rid itself of accumulated soot through a process called ‘regeneration’. The DPF has to be at an optimum temperature for regeneration to take place, and this can only be achieved with the vehicle fully warmed up for extended periods such as on longer trips. If the engine spends most of its time warming up or starting from cold such as in vehicles used for lots of start/stop driving, then the DPF can’t regenerate as it either doesn’t reach its optimum temperature or can’t maintain it for long enough. In these cases, the DPF clogs up and can’t filter the soot properly. The result is a vehicle not only emitting sooty particulate matter into the air but suffering a likely drop off in power and excessive fuel consumption. If you know your driving will mainly be shorter trips, then periodic (around monthly) longer runs allowing the engine to reach and maintain its optimum temperature will help keep your DPF clear through regeneration. If you’re already experiencing DPF related problems, it’s usually too late as the damage has likely been done. We may be able to salvage your DPF as replacing it is usually expensive; often well into four figures. We’ll undertake a full diagnostic check to get to the root of your DPF problem and, depending on what we find, replace components or carry out a full DPF clean. DPF diagnostics: your problems may stem from a component failure such as a sensor causing a DPF warning indicator to light up on your dashboard or a blocked pipe. Our thorough diagnostic procedure will identify the culprit if it’s a component issue, and we stock a variety of sensors and related parts so may be able to fix the issue immediately. DPF cleaning: if related components are in working order, then it’s likely a DPF clean is called for. A carbon cleaning solution is injected to the DPF pressure line and soaks in to gradually clean away the collected carbon deposits as we run your vehicle at a fast idle. This is followed by ‘flushing’ the filter at least twice with an injection of another cleaning solution. DPF analysis: we ensure the process has worked on your DPF by checking its now in full working order through road testing and ensuring key diagnostic readings are indicating a fully functioning DPF. Talk to us today if you have any DPF concerns and let’s get it working properly for you.